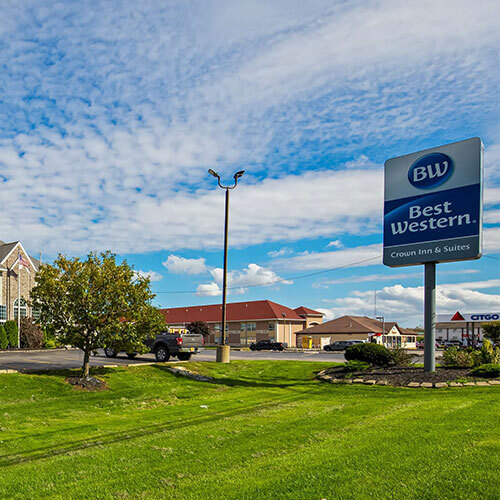 Located just off the Thruway, with convenient access to area attractions, this hotel features guest rooms with modern, dark-wood furnishings, comfortable bedding and newer appliances. Smoke free premises. 51 units. 2 stories, interior/exterior corridors. Accessibility (Call). I-90 exit 48, just w. 8210 Park Rd 14020.